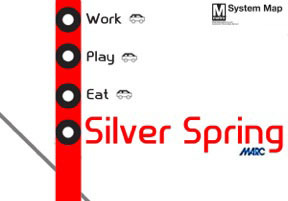 I often engage in conversation with friends over what location has the greater food options in our favorite DC Metro food areas: Downtown Silver Spring/Wheaton area, Rockville Pike, or Bailey's Crossroads/Skyline in Virginia. While my old neighborhood Skyline in Falls Church has some of my personal favorite longstanding staples such as Gourmet Peking Inn, Duangrat's, and Mark's Duck House, Rockville Pike has La Limeña, A&J Restaurant, and Bob's Shanghai 66. We have Ren's Ramen, Oriental East, Thai Taste, Kantutas, The Big Greek Cafe, and Quarry House's Old Bay Tater Tots. Will there ever be a clear cut winning neighborhood? I'm not sure. But we'll certainly keep on eating our way through our disputations. This might be the number one seed in our neighborhood. 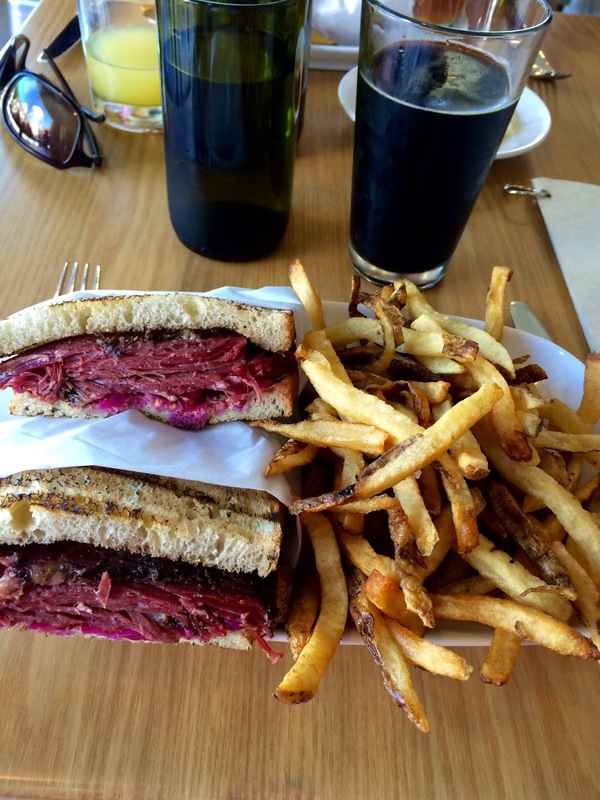 Pastrami Sandwich & Fries from Urban Butcher in DTSS. Don't sleep on formerly Ray's the Classics. While you can't find the burger in the fancy pants section of the restaurant, you can get it at their café. 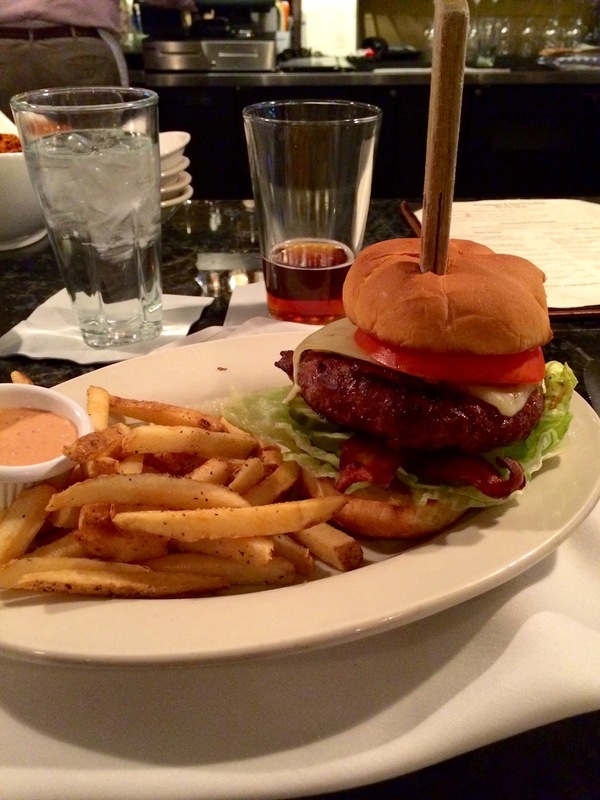 The Classic Burger, Spicy Diablo Style from The Classics in DTSS. Talk about bang for your buck. This is the meal that keeps on giving. You can have leftover lunch for days. Silpancho & Empanadas from Kantutas in Wheaton. 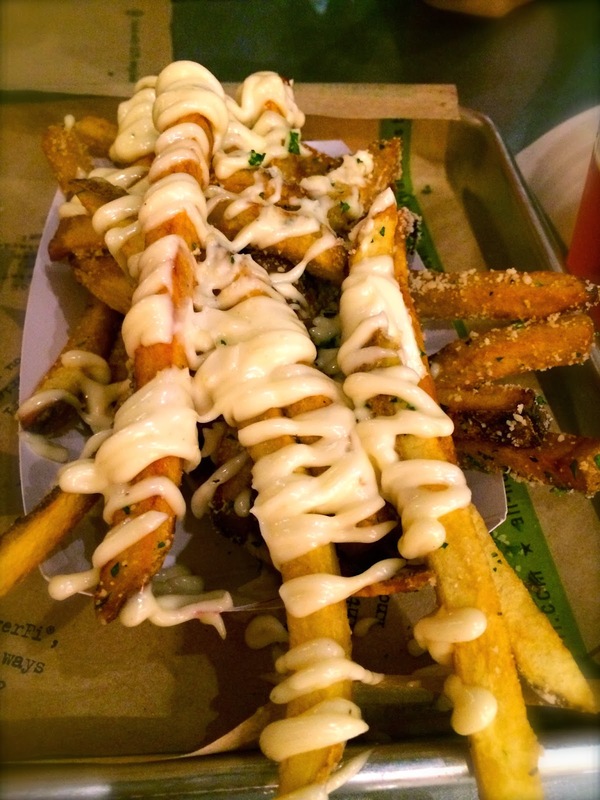 This is my go to at BurgerFi in DTSS. 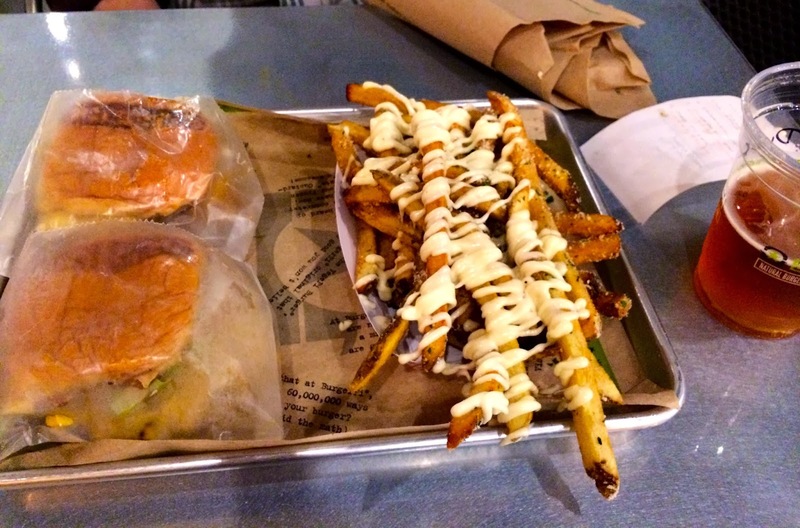 BurgerFi Burger & Urban Fries. Year of the Ox (beef, celery, red onion - fried) at NaiNai's Noodle & Dumpling Bar in DTSS. Never too crowded and great price point. Tacos de Carne from Rios Taqueria y Pupuseria in Wheaton. If they were open past 8:30pm I'd be 20 pounds heavier. Banana & Nutella Crepe from Fenton Cafe in DTSS. Always interesting and friendly characters from the neighborhood in this establishment. 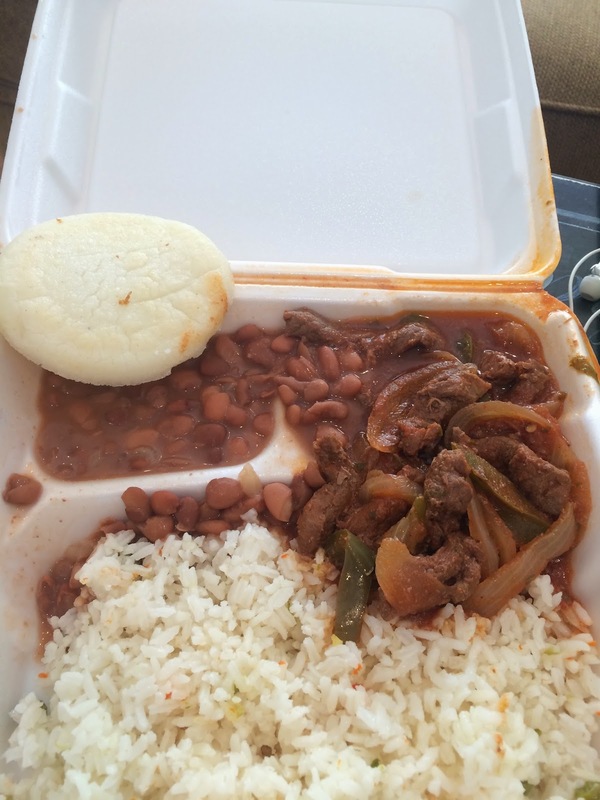 Carne Guisada con Arroz y Habichuelas (Stew Meat with Rice & Beans) from La Fonda Paisa in DTSS. Ok...this isn't Silver Spring but it was SO good that I couldn't exclude this brunch menu dish in Takoma Park. The Trancapecho from Republic. 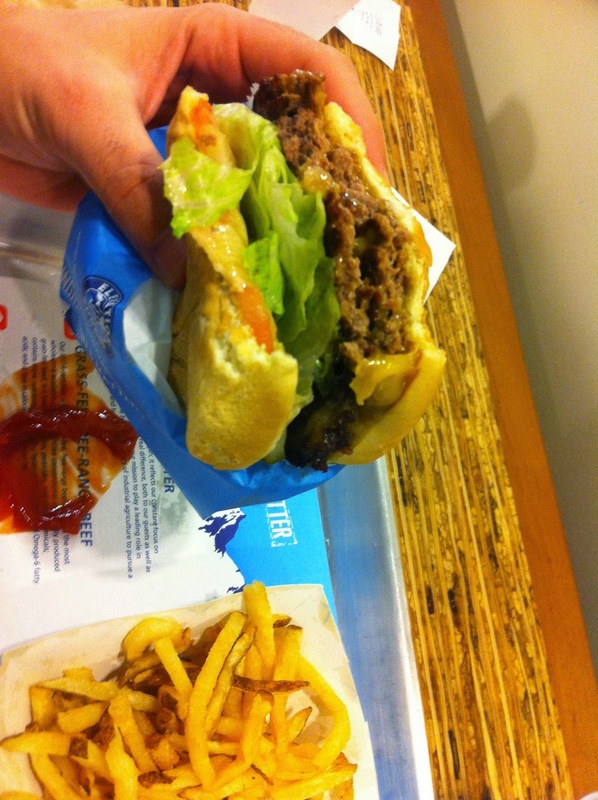 The Elevation Burger in Wheaton. 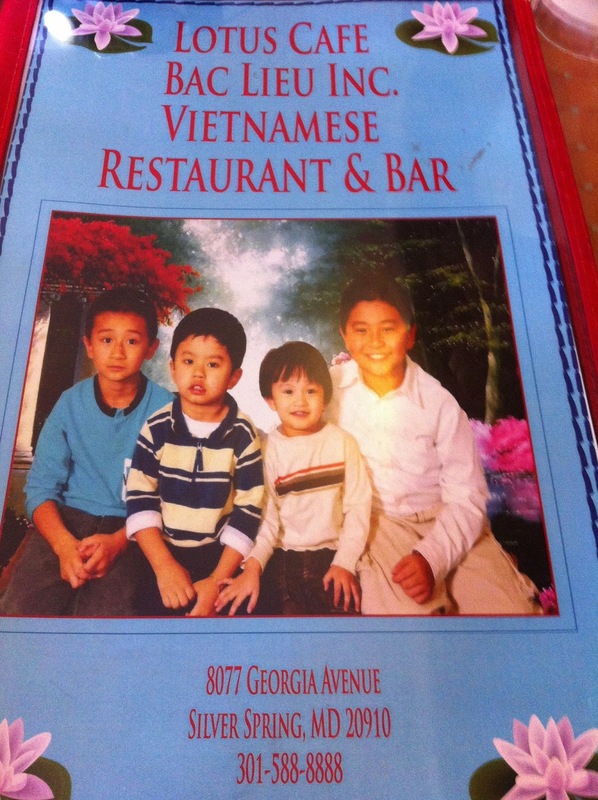 What a great menu cover. This delicious Pho is from Lotus Cafe in DTSS. Margherita Pizza is from Pacci's. You can't go wrong with the cheese pizza from Mamma Lucia's in DTSS. This is the third year Society has provided free meals for Thanksgiving. This year will be a 4 course meal for the homeless. For those in need in the community to enjoy live music and a care package that includes food, toiletries, and more. How you can help: Fillmore is collecting donations of non-perishable food items, toiletries, and clothing. Drop off donations from October 20 - Nov 26, Monday - Friday, 12pm - 6pm. They will also accept donations during shows. How you can help: Make a donation at the Market Info tent so they can purchase food from farmers for the community. For Thanksgiving, Nourish Now will be collaborating with over 20 nonprofits throughout Montgomery County for the Holiday Giving Project to feed over 10,000 residents in need. Nourish Now has volunteered to provide food for 700 families in Silver Spring. White Oak Community Rec Center will be donating space to serve as Nourish Now’s distribution center for the Holiday Giving Project. White Oak Community Recreation Center is located at 1700 April Lane, Silver Spring, MD. How you can help: You can either volunteer (call 301-330-0222), give a financial contribution, or equivalent food donation. How you can help: You can donate low sodium stuffing, low sodium gravy, cranberry sauce, cans of vegetables mashed potatoes, corn bread mix, gift cards for perishables. Email Alana for more information. How you can help: Bring a new or slightly used musical instrument to Downtown Silver Spring and Hungry for Music will donate to school music programs throughout the community. Donation drop off will be located in the breezeway next to the Wayne Avenue Parking Garage throughout the holiday season. If you know of other opportunities to donate or volunteer, please don't hesitate to drop me a line. There's a new food truck in town offering breakfast, lunch, and dinner. Fajita Sub Factory is open Monday through Friday from 8am - 8pm with Saturdays hopefully coming soon in the near future. Most recently sighted at the Gulf gas station on Colesville and Georgia, the food truck has been around for about three months. They plan to stick around in the neighborhood as they work on sorting out the kinks of starting a new business. Formerly the owner of Al Carbon in Rockville, MD, Milvia Calvit's previous venture was featured in Washingtonian's Cheap Eats back in 2009. After selling the restaurant, the native Venezuelan took some time to travel to Italy (from where her grandmother hails), to learn to hand make pasta from scratch. That was the inspiration for the other half of the food truck, coming soon, Pasta Olivia. I'm really excited about that, since there aren't many (are there any?) restaurants in our neighborhood make pasta from scratch. Back to Fajita Sub Factory, the part of the food truck that's already open, they feature a variety of latin cuisine. Although she's Venezuelan, she emphasize that what she sells is inspired by various regions of latin cuisine and her specialty is homemade. For example, her hot sauce is only her recipe and can't be found anywhere else. Items you can find for lunch and dinner are tacos, fajita sub on white or wheat, salad bowl, or fajita bowls. Your fillings consist of steak, chicken, ceviche, or veggie. You can also get arepas with various fillings to include imported cheese "queso de mano" from Venezuela in addition to homemade ice cream for desert. 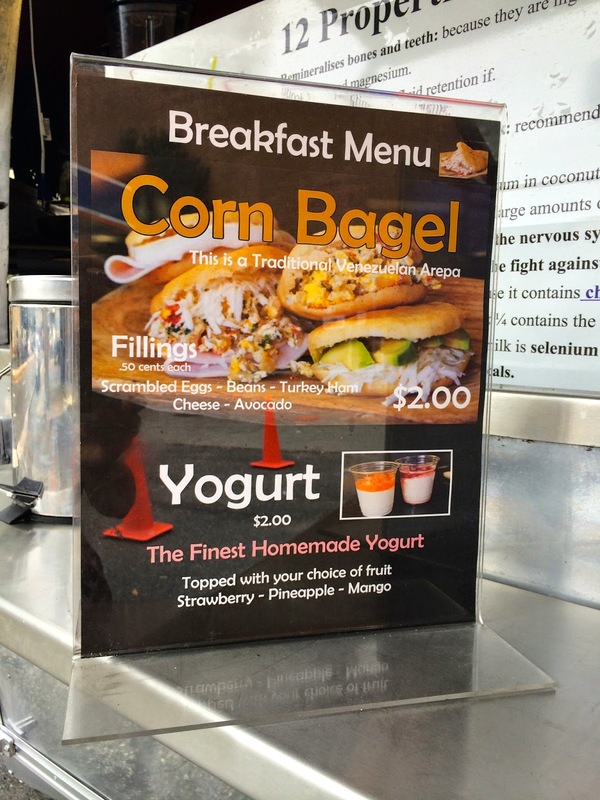 For breakfast you can scoop up what she calls a "corn bagel," which is basically an arepa stuffed with your choice of scrambled eggs, beans, ham, turkey, cheese, and avocado, $.50 each or homemade yogurt topped with strawberry, pineapple, or mango. For desert or that 3pm sweet tooth craving, scoop up smoothies or milkshakes in various flavors. The website is coming soon. Check back soon for updates. Yes I know - I've been out of commission lately but I have a good reason. I have a new womb-mate who has made it a bit of a challenge for me to juggle both working and running around out and about for blogging. Although I'm in the homestretch of my pregnancy and I probably won't be hanging out on the rooftop pouring them down anytime soon, I was ecstatic to hear about the new rooftop bar and lounge in Downtown Silver Spring coming soon. Well, it's kind of already here. "Olivia's View" sits atop of Society Silver Spring. It's open for business, but only serving drinks at this time - craft cocktails, wine, etc. They hope to be serving food in a week or so but the menu is not finalized just yet. Looks like they will be featuring American fare - small bites - quite different from Society's menu. The bar/lounge are appears to be a good size - standing, it might be able to hold approximately 100 or so. They are encouraging guests to come by, check it out, and have a drink or a few. If anyone swings by, please report back! Scion to host Flying Dog brewers and feature 12 different drafts from their Frederick, MD brewery to include many hard to find, limited edition releases. Flying Dog will be debuting the brand new Mango Habanero IPA, the first release from their 2014 Brewhouse Rarities series. The beer was brewed with 2 pounds of habanero peppers and 10 pounds of fresh mango. Also included in the lineup: Pumpkin IPA, an extremely limited release; Natural Selection Genus 3, a collaboration with Evolution Craft Brewing; and Barrel Aged Gonzo, currently the highest rated beer in the state of Maryland. All Flying Dog beers will be $4 for the duration of the evening. Flying Dog rep, Erin Farrar, will be in attendance. Free glassware will be provided while supplies last. Reservations are not required for this event but I would recommend to get there early if you want to score glassware. The last event I attended had such a great turnout that my friends and I missed out on the glass. Welcoming the Devil's Backbone team to MoCo with some great local craft beer on draft and in bottles. GABF’s Best Small Brewpub (2012) and Best Small Brewery (2013). Social Hour begins at 6:30pm and there is also dinner at 7pm. 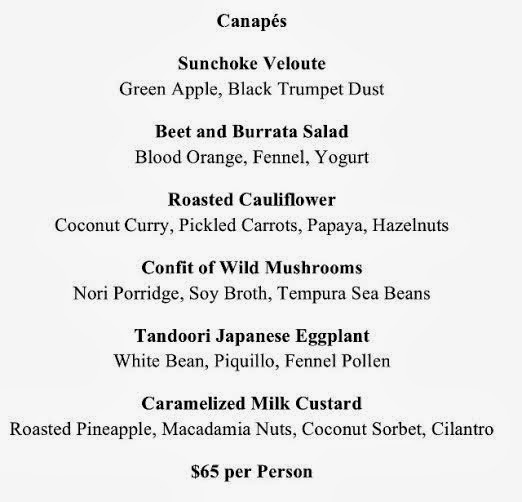 5 courses, $65. Join a Flying Dog Brewmaster and a Breaux Vineyard’s Winemaker and vote. During the Social Hour, they will be featuring a Blood Orange Pale Ale (Very Limited Release) vs Rosé. Recently opened Urban Butcher's beer list is going strong. It features a few local beers to include DC Brau, Port City, and Old Dominion. 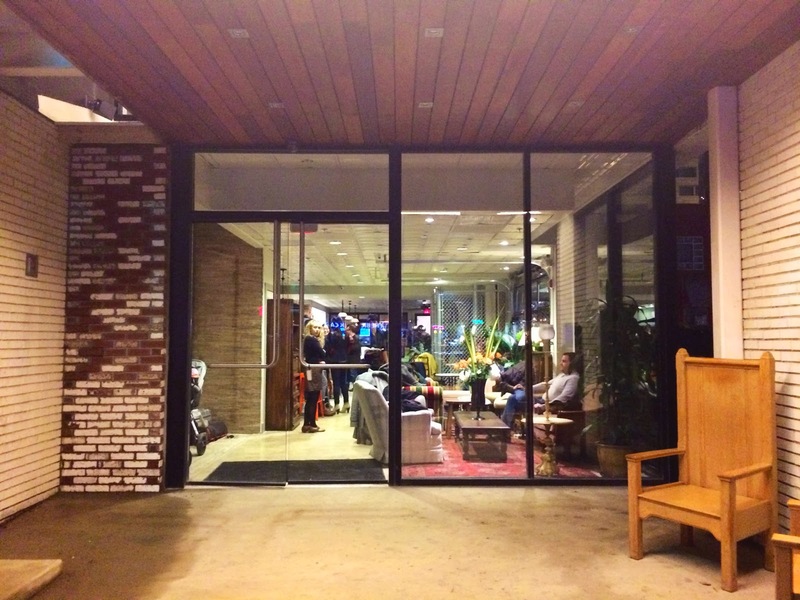 Fenwick Beer and Wine was voted “Best Place to Buy Beer” in the DC area for 2013. Help them win again by casting a vote. Polls close February 27. Recently, Pete from the blog Silver Spring Incorporated posted a great clip on Fenwick Beer and Wine created by Docs in Progress, 541 Bottles of Beer. We are so lucky to have a place like this in the neighborhood. Denizens Brewing Co looks to still be on track to open summer 2014. They plan to have local bands and they are looking for your suggestions. Check out their Facebook page to participate. Let's not forget Quarry House Tavern, one of my favorite bars in the neighborhood. Beeradvocate rates it "Outstanding," with a score of 92 mentioning it has 9 taps and 300 bottles. I know that their draft options are constantly changing. Rick Davis from Calstar Cellars in California will be joining them for the evening featuring special wine flights, brand new wines, and more. Know of a great beer event in the neighborhood coming up in the next few months or a venue I should add to this? Please don't hesitate to give me a shout. What's Next for United Therapeutics? 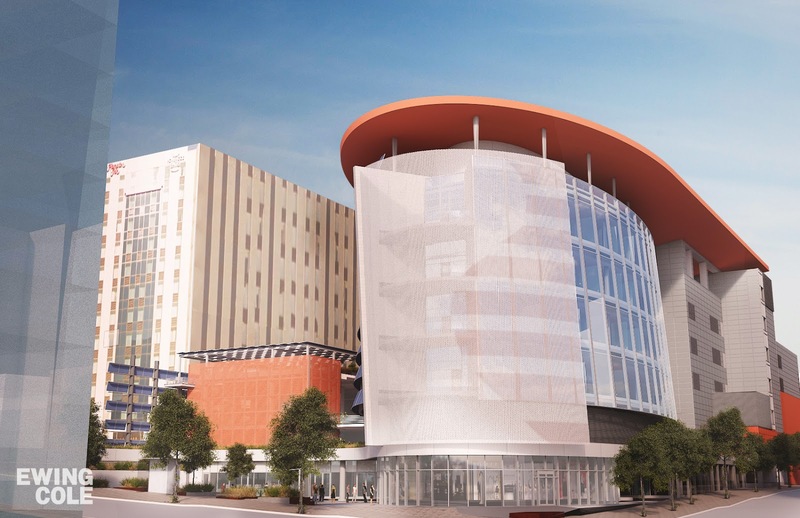 United Therapeutics is en route to expand to its fourth building. The location is the garage over by Spring and Colesville, and they are converting it into a state of the art “green” facility to include numerous amenities for their employees and the public to use. This will allow for a 50 EUI (Energy Use Intensity) reduction in energy usage for the building. Construction won't begin until 2015, but it’s great to know this is on its way. Some of the amenities includes a good size swimming pool and roof terrace/gardening to host events for their employees. I wonder if they’d consider some type of membership for local resident to use the pool as well. This will also include retail space and each business will receive an allocation of power via meter. I would assume this rules out hair salons and restaurants, but I could see possibly a small coffee corner, clothing shop, etc. The rooftop Unither Employee Garden will be a great asset for employee retention, and they are hoping to allow for a garden plot for each employee in addition to a Master Gardener. It will include tables as well and their hope is that the employees who live nearby will be able to tend their garden even on the weekends. There will also be a catering area on the rooftop for events. They don’t actually own the garage just yet, as they are awaiting permits/approvals and they have not yet settled. Hopefully MoCo is cooperative and poses little to no blocks on this. They are looking at a 22 – 24 month construction period starting 2015. Not sure what took me so long to get to BurgerFi, the newest addition to the neighborhood that features a Breakfast All Day Burger (burger, cheese, bacon drizzled with maple syrup, fried egg, hash browns, grilled diced onions, and ketchup), but better late then never. Located across the street from Wholefoods, BurgerFi is nestled between Washington Sports Club and the Courtyard Marriott. 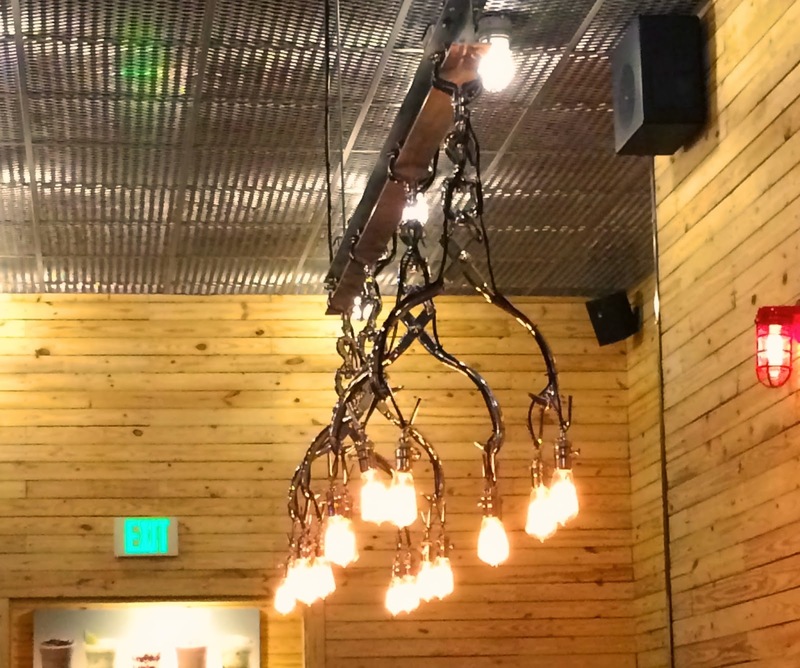 Their menu is more than just burgers. It includes hot dogs (there’s a Kobe beef dog on the list), custards (red velvet, please), floats, sundaes, beer, and wine. If you’re coming from the gym next door, you can order the Hippie Burger (quinoa burgers) or a hotdog in lettuce instead of buns. There’s a Coca Cola Freestyle machine with various flavors to mix and match as you please. Or you can go sans-high fructose and opt for the bottled Mexican coke with real cane sugar. The two of us each ordered the BurgerFi cheeseburger made up of an Angus burger, double American cheese, lettuce, tomato, and BurgerFi sauce and we split an order of the very generous Urban Fries from “the Secret Menu” which were parmesan and herb fries topped with garlic aioli (regular size was enough for both of us), and a Dog Fish IPA 60 minutes. I inquired about the BurgerFi sauce and they said it was a mayo based sauce with special ingredients. They’re not telling and it was delicious. 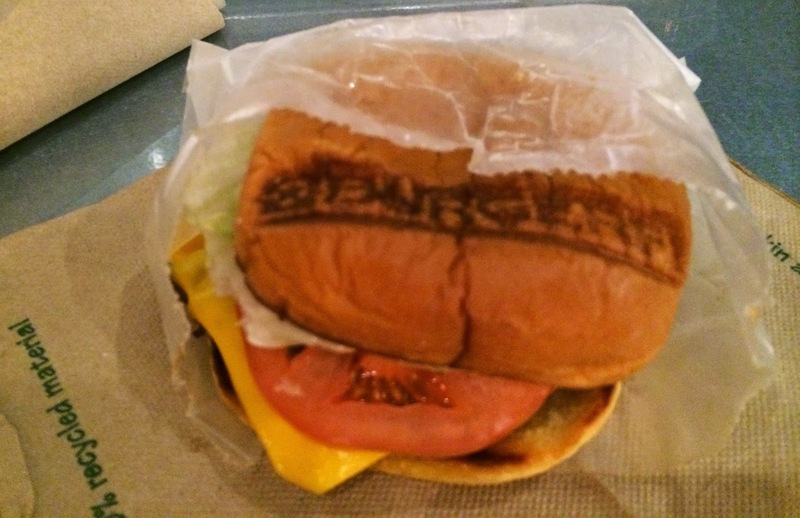 The Secret Menu, not displayed on the menu behind the register but can be found on their website, features additional burgers such as the ½ + ½ burger, (half angus burger, half quinoa burger) and fries to include both extra crispy and extra limp fries. We found the burgers to be slightly overcooked. We were told we can’t choose our temperature because corporate wants them all cooked the same way, according to one of the employees. It was still a tasty burger nonetheless. 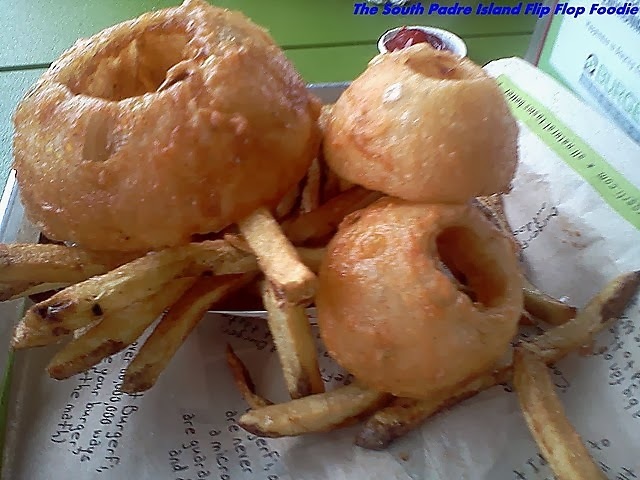 We didn’t order the onion rings but the table next to us did and they looked to be a huge serving. I’m coming back for the custard on my next trip. 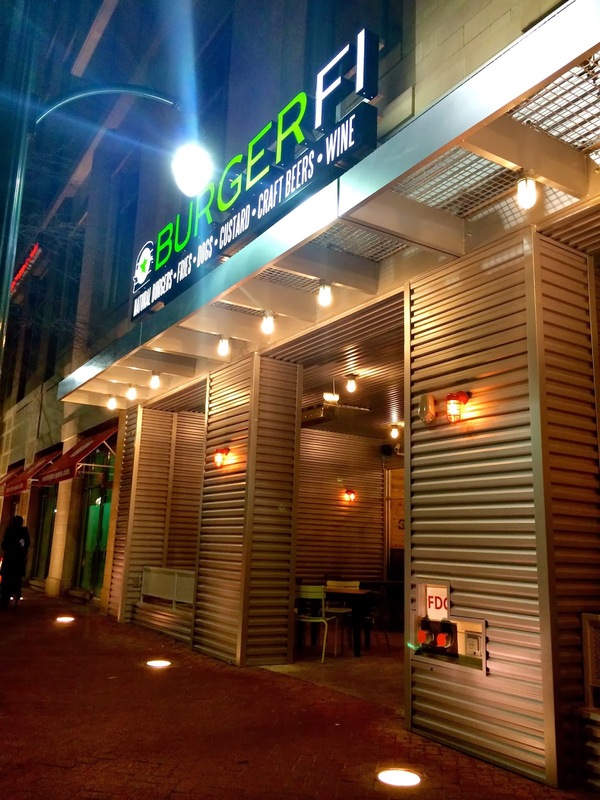 Happy to have a much needed burger spot in Downtown Silver Spring, the restaurant and its employees made a good first impression. With a good size patio, beer on tap, and wine, upbeat music (but not obnoxious), I can see them being slammed all summer long. 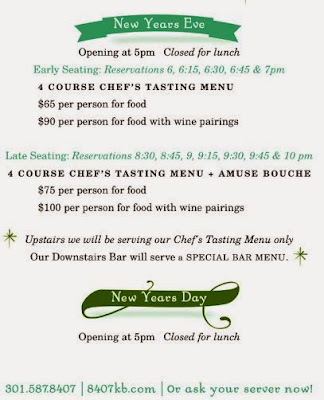 Will open at 6 pm and will be offering normal cocktail menu alongside complimentary hors d'oeuvres (no regular food menu will be available). Additionally, for those who want advance reservations at Sidebar, they are offering an all inclusive open bar at $50/person. This guarantees you a seat. 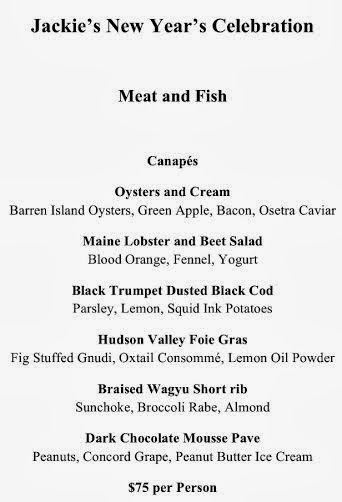 No cover, standard menu, champagne toast at midnight, drink specials. Open until 2am. 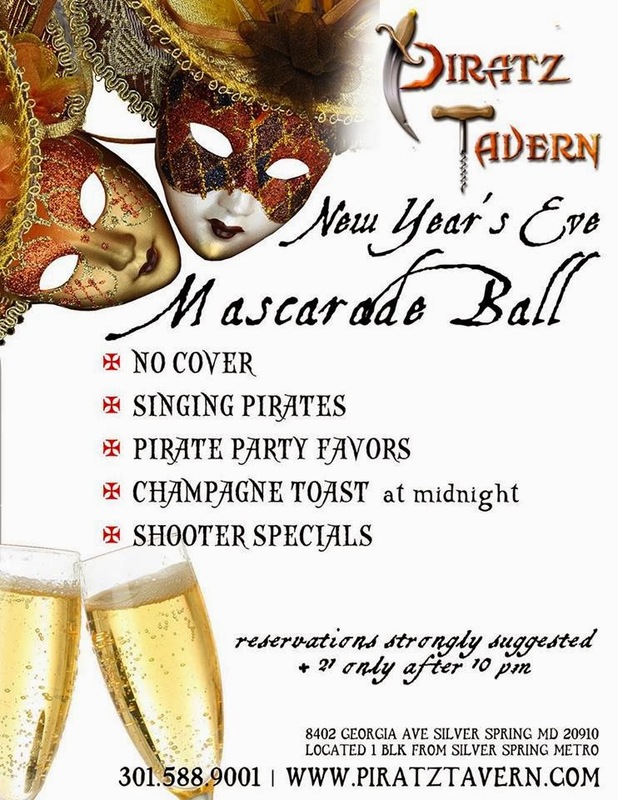 New Year’s Eve Dinner & Mascarade Ball. 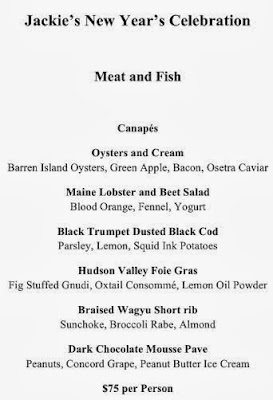 Dinner is 4 course for $45 or order individually. Mascarade Ball: Wear a mask. Champagne Toast at Midnight, Pirate Party Favors, Pirates for Sail singing from 8:30 - 10 pm. 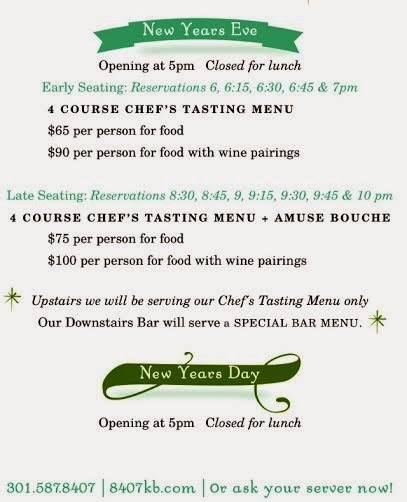 Special New Year's Eve dinner menu with two seatings, 6pm and 9pm. DJ and champagne toast. If there's anything I'm missing that should be on this list, please give me a shout. Spanish chorrizo, bourbon punch, steak tartar, lamb empanada, spicy pepperoni, pig ears - those are just a few things I got to sample at Urban Butcher's preview. The decor and design was minimal with great use of space. 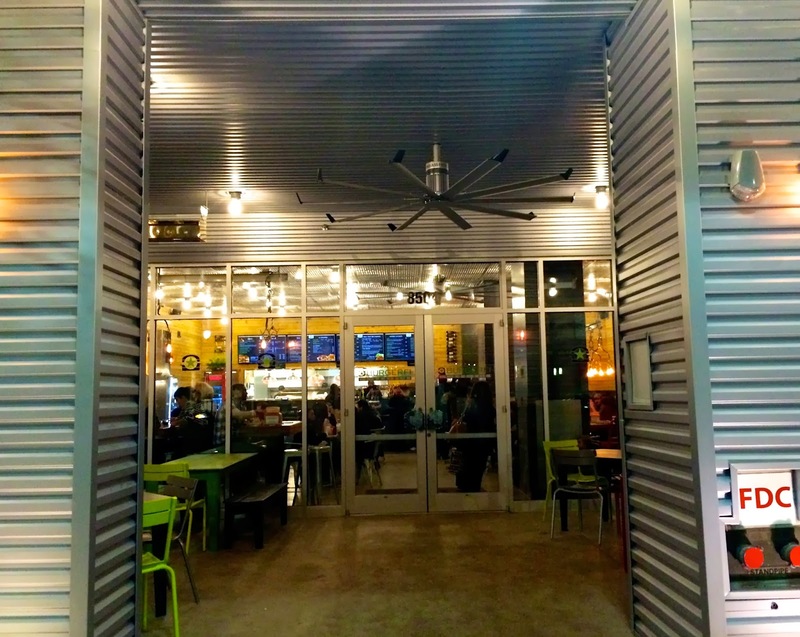 My favorite part of the design was the garage doors that will open up during the summer, with stools to sit outside part of the bar looking in (think Pearl Dive Oyster Bar set up with the stools outside facing in). Although I sampled the Lavender Margarita and the Rosemary Gin and Tonic as well, the Bourbon Punch was my favorite. Tasty but not overbearing and not too sweet, it hit the spot and went well with the spicy pepperoni. For more info on what we can expect, check out my previous blog post. Great decor. Beautiful space. They didn't miss a detail. Notice on the menu above that you can request a steak from the butcher counter an additional 50% of the price and they will cook it for you on site. Beer list pictured above. 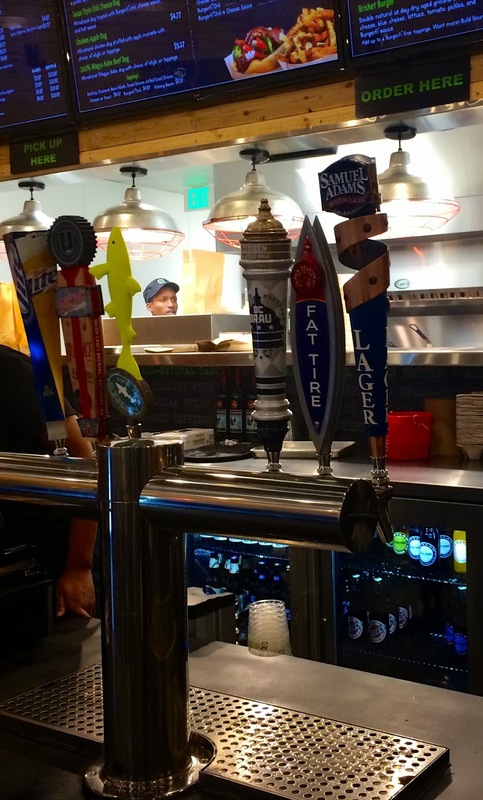 This includes 10 beers that will be on tap in addition to sparkling wine on tap. 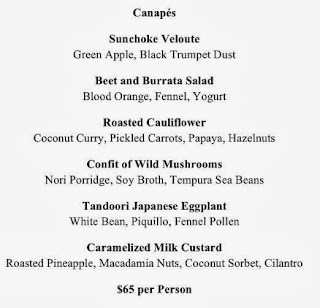 Dessert list. Note the bacon-maple gelato. Bar area. Come to me Bourbon Punch. Cheese counter to include sheep's milk, raw cow milk, cow milk. Blue paradise was one of my favorites. At this very moment, my eyes fixed on the pig and I knew there was one request I had to make to the Cuban chef Raynold: Pig ear please! And just like that, the pig ear was mine. So crunchy and tasty. Beautiful display. Check out those pork chops. Hours: 5:00 p.m. – midnight (Monday thru Thursday), 5:00 p.m. – 2 a.m. (Friday & Saturday). 5 p.m. to TBD (Sunday). Dinner 6 p.m. – 10 p.m. (Sunday thru Thursday), 6 p.m. - midnight (Friday & Saturday), Happy Hour Open until close (seven days a week). 8226 Georgia Avenue, Silver Spring, Maryland 20910, just two blocks south of the Silver Spring Metro stop on the Red Line. For more on Urban Butcher, go to www.urbanbutcher.com or call 301.585.5800. Follow on Facebook and Twitter (@UrbanButcher).